Vikki Stone is a multi-talented comedian, actress, singer and musician and the winnerof The 2011 Soho Theatre One Night Stand Up Award. Her unique musical comedy has made her one of the fastest rising stars on the UK circuit, and she performs regularly at major clubs, festivals and theatres across the country both as a solo act and with her band 'The Flashbacks'. 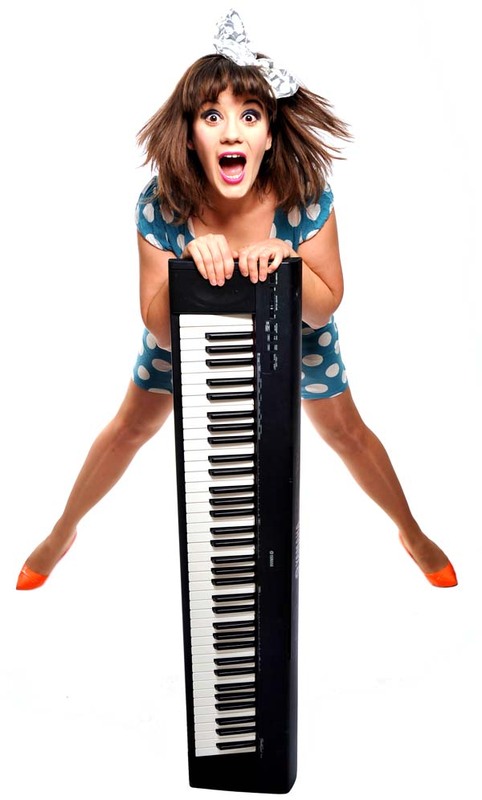 This summer saw Vikki’s Edinburgh debut “Big Neon Letters” play to sell out audiences and receive incredible reviews, including The Observer’s Comedy Top 5 Edinburgh Shows 2011. Her TV appearances include 'Most Annoying People 2010' (BBC3), 'Flash Prank' (MTV), “The Hour” (STV), and “Greatest Ever 3D Moments” (Channel 4). You may also recognise her from fronting major ad campaigns for Yakult, Fiat and Tena Lady! Vikki trained at The Royal Academy of Music, and as an actress has featured in numerous musicals and theatre productions including Beauty and The Beast (Theatre Clwyd), The Ladies That Lunch (Jermyn Street), West End Girls (Jersey Opera House), Oklahoma! (Peacock Theatre), and Times Up! (Shaftesbury Theatre). As musically talented and exciting as she is funny, expect big laughs from this girl with a big voice. a great gift for smilingly handing you an unexpectedly awful image and smart little callbacks woven into not just the chat, but the songs too. “If Kate Nash was a character invented by Viz, she’d be Vikki Stone. She sings about modern life and failed relationships in a manner that takes filth to the highest level of art. Her original songs are good. and she’s got a belter of a voice...when she weaves her crude killer couplets into recognisable tunes the squirm factor and and laughter quotient reach an explosive level.